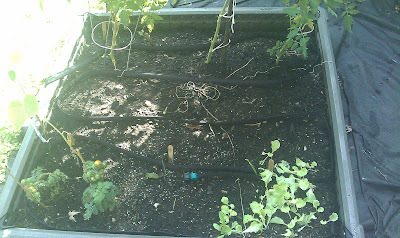 I bought this hose at Home Depot for $10 and adapted it to fit one 4x4 foot raised garden bed. It works well for that purpose because of its length of 25 feet. The hose is held in place by small wooden sticks or recycled wooden tongue depressors. 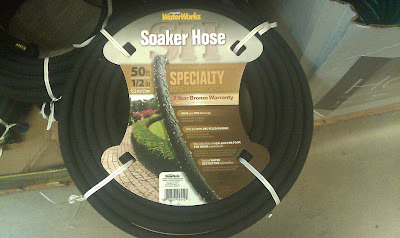 The weeper/soaker hose allows for efficient watering with less waste and reduced evaporation. It performs best with low water pressure, ensuring gentle, even watering. It is very flexible and you can bend to contour the margins of the square foot garden in the raised bed. 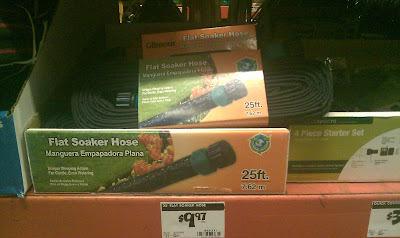 25-ft soaker hose in a 4x4 ft raised bed.